Be the first to share your favorite memory, photo or story of Ward. This memorial page is dedicated for family, friends and future generations to celebrate the life of their loved one. Ward N. Rouse, 88, of Waterloo, died Sunday, March 31 at Cedar Valley Hospice Home. He was born Dec. 21, 1930 in Waterloo, son of Frederick and Gertrude Roberts Rouse. He married Shirley Ann Voyek May 22, 1956 in Waterloo. Ward graduated from Waterloo East High and served in the U.S. Navy during the Korean War. 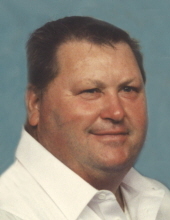 He was a welder and worked at Titus Manufacturing, Waterloo Industries, retiring form the Iowa DOT in 1992. Survived by: wife of Waterloo; three daughters, Denise (Brian Akers)Elliott of Houston, Texas, Holly Rouse of Cedar Falls and Michelle “Shelly” (Jerry) Ramsey of Waterloo; 5 grandchildren, Jennifer Dunn, Shannon (Bill) Cleven, James (Kate) Matson, Heather Matson, and Nick Ramsey; 3 great-grandchildren, Toby, Nicole, William, and one on the way. Preceded in death by: his daughter, Corinne Rouse; a brother, Donald Rouse; five sisters, Mary Goodwin, Catherine Wilson, Grace Haberer, Arlene Munger, Virginia Goodwin, and one in infancy. Memorial Services will be 10:30 a.m. Friday at Hagarty-Waychoff-Grarup Funeral Service on South Street with burial in Mt. Olivet Cemetery at a later date. Full military rites will be conducted by the Waterloo and Evansdale Amvets, Post 19 & 31, with flag presentation by the U.S. Navy Funeral Honor Guard. Visitation will be for one hour before services Friday at the funeral home on South Street. To send flowers or a remembrance gift to the family of Ward N. Rouse, please visit our Tribute Store. "Email Address" would like to share the life celebration of Ward N. Rouse. Click on the "link" to go to share a favorite memory or leave a condolence message for the family.